Why Service At Ford of Murfreesboro? When it comes to something as important as repairs or maintenance on your Ford, you don’t want to leave anything to chance. We’re quite confident that you won’t find ANYONE more qualified to work on your vehicle than the passionate, experienced mechanics here at Ford of Murfreesboro. Every last member of our team is highly trained and impeccably certified, having received Ford factory instruction to guarantee that service is performed exactly the way the manufacturer intended. Every staff member is required to be qualified to use the dedicated and highly advanced diagnostic equipment needed to analyze your car properly. Why is this important, you ask? Because if your vehicle is diagnosed incorrectly, it could cause small problems to turn into much bigger and more expensive ones down the road. At Ford of Murfreesboro, we want to make sure the job gets done properly the first time, no exceptions. It’s important to keep in mind that the quality of your vehicle is only as high as the parts used inside that vehicle. Your Ford was built using authentic factory components for a reason – to guarantee you maximum reliability and durability, along with years of worry-free driving. To maintain that precious peace-of-mind, Ford of Murfreesboro is dedicated to using ONLY original equipment manufacturer parts and components. Genuine Ford products mean that you can rely on a warranty on a part as well as on the service provided. If you ever run into a problem (or experience the unlikely event of an error), don’t worry – we’ll take care of everything. You can also enjoy the benefits of the Quick Lane Tire and Auto Center – with over 800 locations nationwide, quality service for your vehicle is always nearby. From brake repair to batteries to alignments and absolutely everything in between, Quick Lane is Ready to Service – no exceptions. Not only that, but you also get to enjoy the types of everyday low price guarantees on tires and services that you will NOT be able to find anywhere else. If you’d like to find out more information about the services that we offer, or if you’d like to speak to someone to schedule your appointment as soon as possible, please don’t delay – contact Ford of Murfreesboro today. 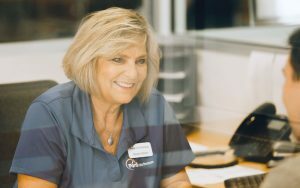 Here at Ford of Murfreesboro, we only use Manufacturer Certified Technicians that are trained and highly knowledgeable. They have the knowledge, experience, and tools needed to make sure your Ford is well taken care of. Actuate the positive, eliminate the negative. You can even pick the radio station. Because you're under enough pressure. A pit stop featuring free wifi and coffee. It may not be a new car, but it'll smell like one. Think chiropractic for your car. We can also send you a text when we’re done, or if we find any problems you need to be aware of. When the time comes, ski the service line and pay from your smartphone, tablet or laptop! Holla! Send us your cell number so we can text. Less talk, more action! As work progresses, we’ll send updates. No news is good news, but like the saying goes: if we see something, we’ll say something. Your car is ready! Here’s the bill. Skip the line and pay online!